Along the beaches in Jensen, the pompano fishing has been good. A few anglers fishing early morning and early evening and catching the mid-to-high incoming tide have reported catching their limits of six fish using clams, sand fleas and Fishbites. In the St. Lucie River fishing for trout along the dock and bridge lights has been excellent. Many anglers flipping shrimp in those areas looking for snook are taking in trout instead. Fishing for sheepshead has also been great in the river as well. In Jupiter, the bluefish action has been excellent. Along the beaches off Blowing Rocks and in the Loxahatchee River, anglers are taking fish in the 12- to 15-pound range. Fishing for snook has been good off of the jetty using croaker as bait. 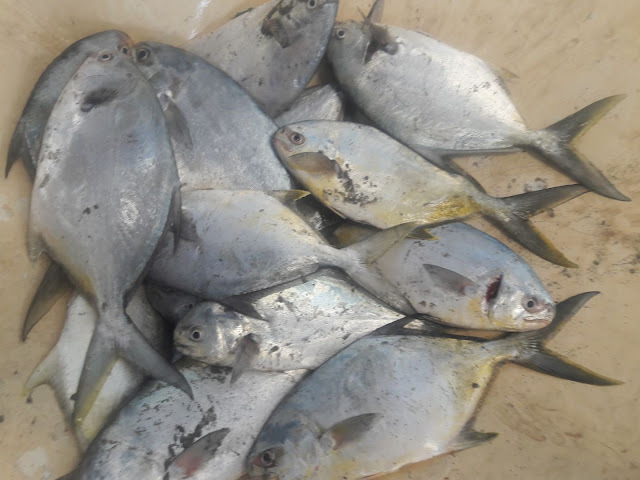 The pompano fishing has been good off of Jupiter Island with some anglers catching their limit. Like offshore, the inshore action in the Boynton Beach area has been less than lackluster with little to no action being reported off the beaches, the Boynton Inlet Jetty and the bridges. The bass are biting! Guides are reporting catching 30, and in some cases up to 40, in one day. Though not quite on par with fishing live bait, the artificial bite has picked up considerably and is definitely worth trying.